Ducati India today announced the launch of the all new Monster 821 in India at an introductory price of INR 9.51 lacs (Ex-Showroom India). The Monster 821 pays homage to the legacy of the Monster 900, which over 25 years ago revolutionised the motorcycle world, embodying the essence of true naked sport. Not only that, it hosts several aesthetic and functional features drawn from the flagship Monster 1200, making it a perfect amalgamation of style, sophistication and performance. The all new Monster 821 is more streamlined, has an agile look with a fully redesigned tank and tail, an all-new exhaust and a headlight that is both classic and iconic. Also making its debut on the new Monster 821 is the colour TFT display with an indicator of the current gear, fuel level and the classic Ducati yellow paint job that so many Monsteristi have revered in the past. It will also be available in Ducati Red and Black colour options. The Euro 4 compliant liquid-cooled Testastretta 11° engine delivers a maximum power of 109 hp (80 kW) at 9250 rpm without sacrificing an extremely favourable torque curve. Thanks to its 8.8 kgm (86 Nm) of torque at 7750 rpm, the 821’s engine guarantees fun and usability that are within reach of all. 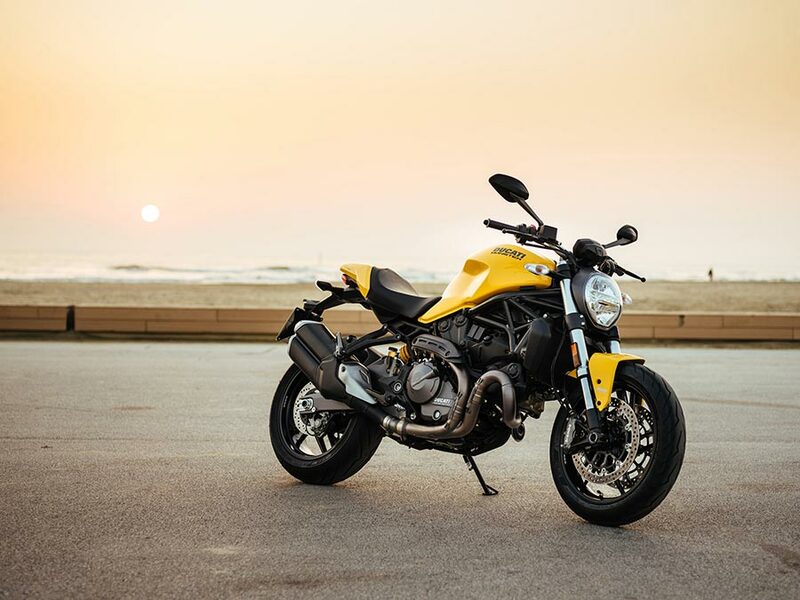 The Monster 821 also features the Ducati Safety Pack, which comprises of Bosch 9.1MP ABS system and Ducati Traction Control, both of which have adjustable intervention levels. Similarly, maximum power and throttle response can be adjusted via the Power Modes. 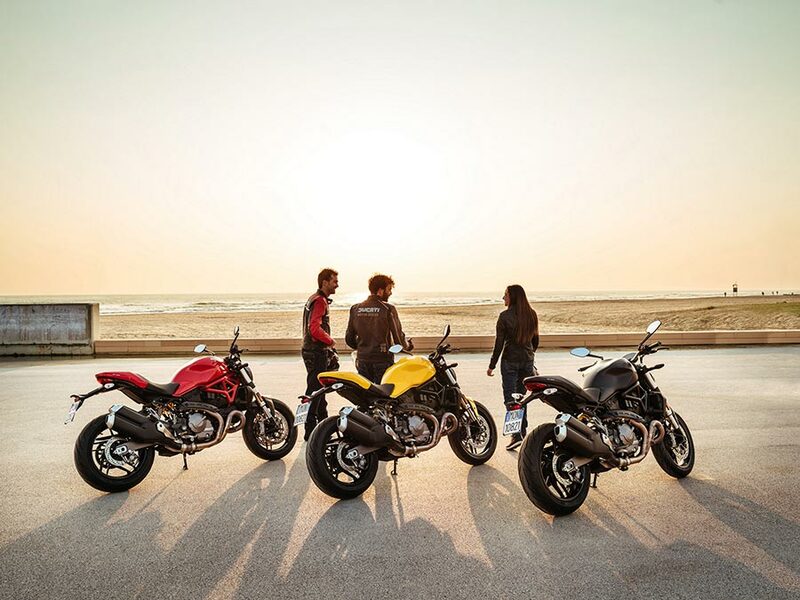 Riding Modes allow easy adjustment of ABS, Ducati Traction Control and Power Modes, letting riders transform the new Monster 821 into three different motorcycles, each with a distinct personality. Completing the impressive equipment array on the Monster 821 are the Brembo brakes, with dual 320 mm discs and M4-32 monobloc radial calipers up front. A refined suspension system includes a 43 mm fork at the front and a rear monoshock with spring preload adjustment. The new Monster 821 comes shod with a Pirelli Diablo Rosso III 120/70 tyre on the front and 180/55 on the rear. One of the accessories available for the Monster 821 is the Ducati Quick Shift (DQS) up/down, an electronic system derived from racing that makes it possible to change gears without the use of the clutch. 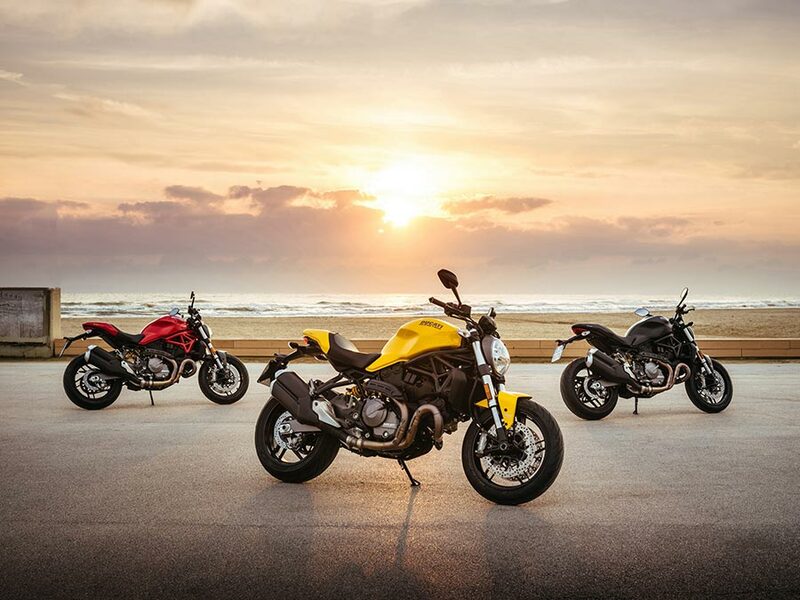 The bookings for the new Monster 821 are now open and deliveries will start by the first week of June across all Ducati dealerships in Delhi – NCR, Mumbai, Pune, Ahmedabad, Bengaluru, Kochi & Kolkata.